With summer comes lots of fresh peppers, cucumbers, tomatoes, and zucchini. 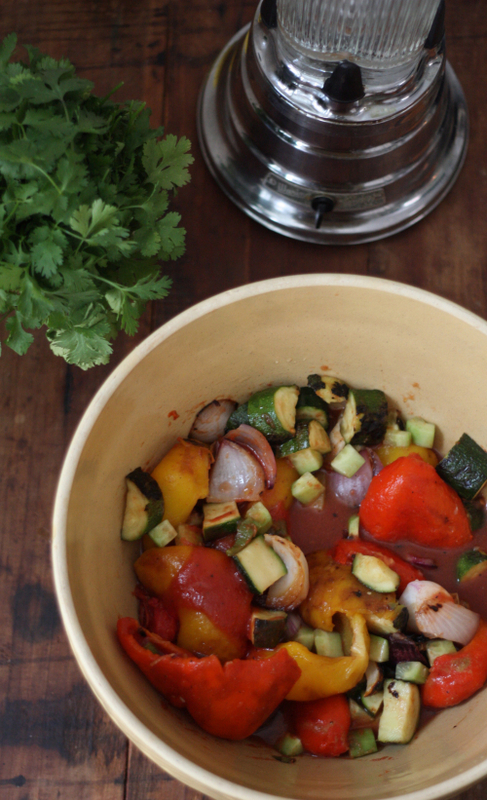 One of my favorite ways to use them up is by tossing them on the grill to make some homemade gazpacho — it's a great cold and refreshing meal in a bowl and great to snack on during the week! 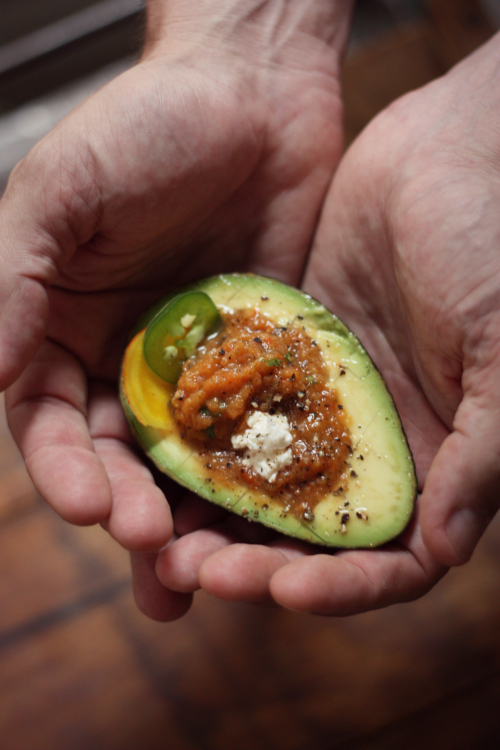 As you can see, I've been getting creative by stuffing a heaping spoonful of fresh gazpacho into avocado halves as a healthy snack of my own. This summer soup is just bursting with fresh seasonal flavor! 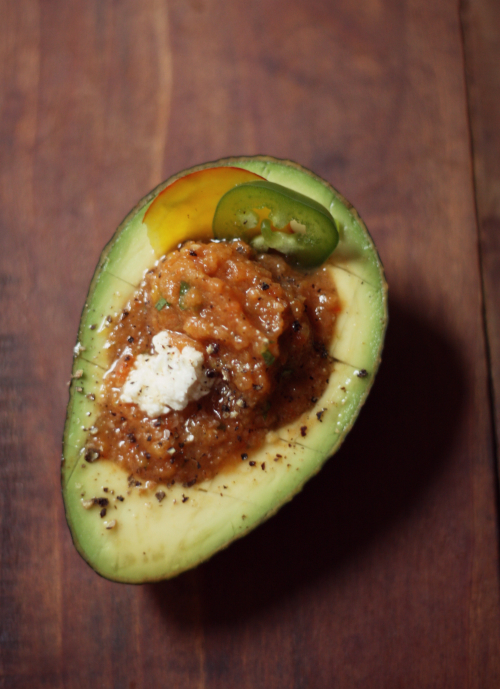 To perfect the "gazpachocado," scoop out a little more of the avocado flesh after halving and removing the seed to give yourself more room for the stuffing; at this point you can even score the remaining flesh to make it easier for eating. Scoop in a heaping spoonful of cold gazpacho and top with thin slices of jalapeño and beet, some feta cheese and finish with fresh cracked pepper! Make it a starter or side to your next summer dinner or just eat it as a refreshing and healthy snack packed with nutrients and good fats like I've been doing!